Manish is a Professional Photographer in Mumbai. He had a liking for photography since school days. He earned his Diploma from the L. S. Raheja School of Arts and Architecture (Bandra/ Mumbai) in 1993. He is a Gold medallist. He went to join JWT Mumbai as an Art Director. In his career as an Art Director/ Creative Director he worked with various Advertising Agencies. JWT, Lowe, Vyas Giannetti Creative, Rediffusion Y&R & St. Lukes. 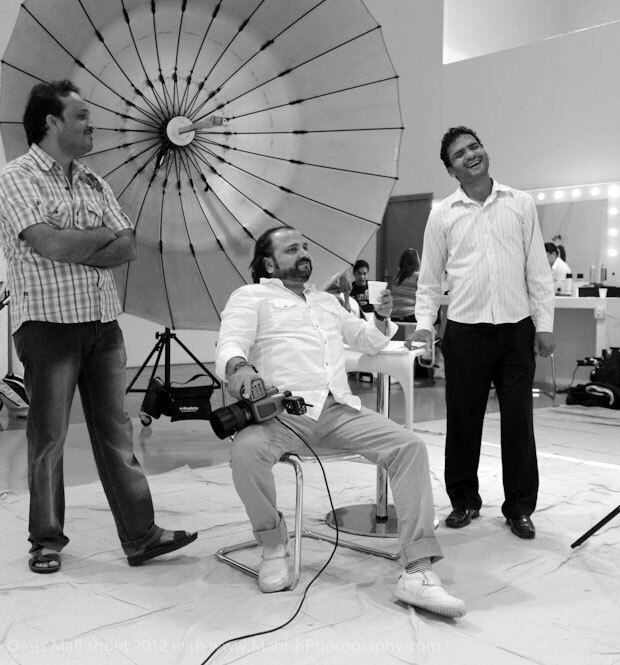 After a decade of Art direction, in 2005 Manish switched to Photography as a full time career. As a Professional Photographer in Mumbai he has worked with various Ad. Agencies in Mumbai/ India, UAE & the Gulf as well. Most importantly his strength lies in his sense of composition and knowledge of the various stages and their limitations. Thanx to this knowledge it helps and ensures that his clients get an excellent final product. Not to mention that this is extremely helpful for clients seeking a Professional Photographer in Mumbai directly. he accept assignments involving still photography. Besides that he also accepts total turnkey projects in Mumbai & from all over India. Projects involving Still Shoot Production, providing models, styling, locations & re-touching of the final images. Being trained as an Art Director he Can AND shoots everything. But, when asked, he’d say he likes shooting people more. Be it advertising, fashion or simply candid. If you are looking to shoot with a Professional Photographer for any of your photography requirement in Mumbai or anywhere in India, you can call Manish on +918369230903. He is available for Fashion photography, Garment Catalogue Photography, Advertising, Lifestyle, Interiors & Architecture photography, Beauty, Jewellery photography, Lingerie, Glamour, Corporate and Model Portfolio shoots. Standard Chartered Bank – Africa, Sun & Sand Sports, Etisalat, ADCB Bank, Devji Aurum Jewellers, Oasis Mall, City Centre Mall, New Woman Magazine, L’Officiel Magazine, Kaizer, FLC, Shaze, NRB Bearings, Forum Builders, AARI Fashions. Promoseven 360, Impact BBDO, Fortune Promoseven, Hakuhodo Percept, The Classic Partnership, Saatchi & Saatchi, Lowe, JWT, Y&R, Ogilvy, DDB, The Living Room, Watermelon, Sutra, Mudra, Grey Worldwide. Thanks for stopping by — I hope you’ll enjoy viewing my work. Got something to shoot? Please get in touch.